Birds of a feather get stoned together, so it's no wonder that superfriends Seth Rogen and James Franco are joining forces yet again. 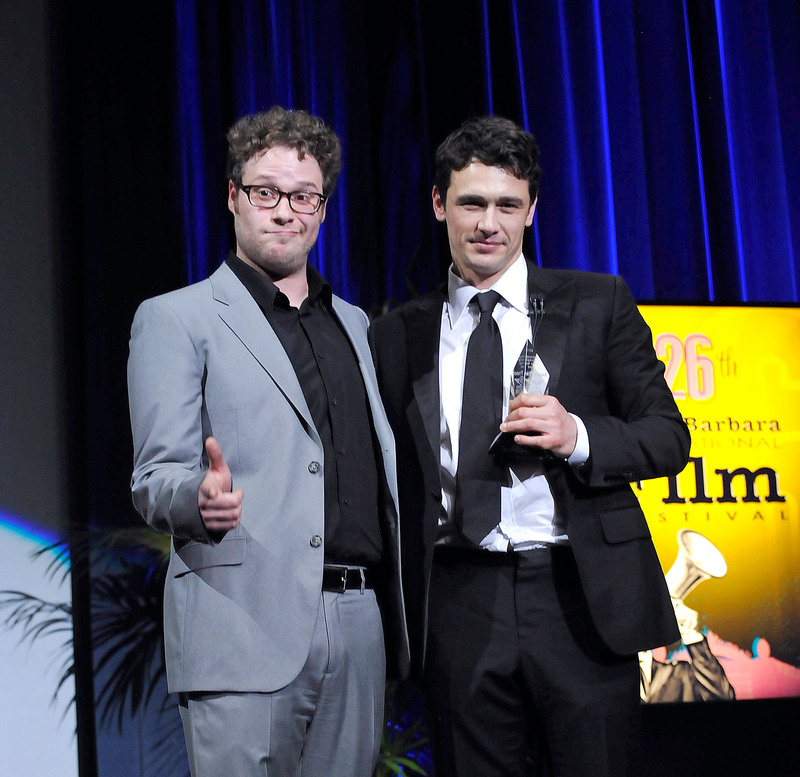 This time, it's to roast actor/performance artist/rapper/knowledge enthusiast/all-around-nutter Franco as he accepts comedy's highest honor, hosted by the less hyphen-able Seth Rogen. Indeed, in a press release sent out today, Comedy Central (the televised home of the Comedy Central Roasts — weird, huh?) unveiled that Rogen would take the role of master of ceremonies for The Comedy Central Roast of James Franco, which is set to tape in Los Angeles on Aug. 18. Considering the duo's long history — they've been friends and frequent collaborators since Freaks and Geeks — it comes as no surprise that they would join forces yet again. What we're most curious about, of course, is just how many jokes about marijuana use can be written before it all just starts to become a little bit dull. Unfortunately, we'll have to wait for Sept. 2 to find out. Our guess is that for every collaboration they've done (Freaks and Geeks, Pineapple Express, This Is The End, and the upcoming The Interview) there will be 3... no, 5 spliffs passed around. Which equals out to, maybe 5,768,922 weed-related jokes just waiting to be made special for the event. We'd totally have to puff puff pass on such a blunt pundertaking.